Airbnb is a popular way to save money on accommodations while visiting Japan. I use it often when I travel outside of Tokyo visiting other parts of the country. Home sharing in Japan was made legal only last year. Under this new law, hosts have to hold a license by June 15, 2018. In a quick turn of events, the Japanese government made an announcement on June 1, 2018, that all hosts who don’t have a license must cancel all reservations made before June 15, 2018. You can read the full story on the Airbnb website. If you’re travelling to Japan soon, you may have had your reservation cancelled and are left without a place to stay. This is incredibly stressful and may leave you wondering what to do. 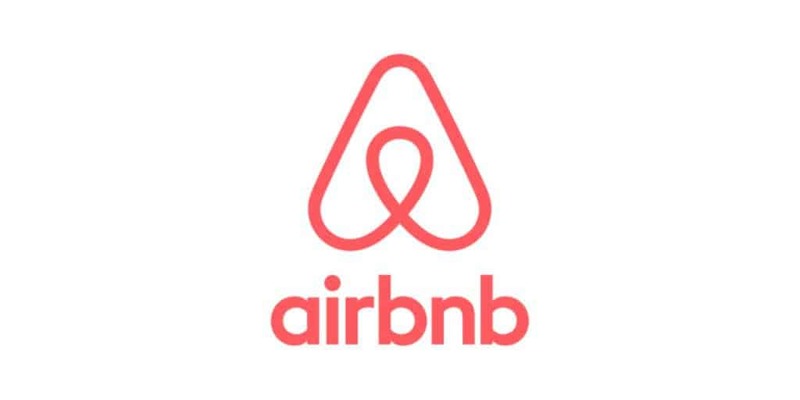 Airbnb is offering financial support for those affected (details are in the link above). For those looking for alternatives, I’ve created a short list of recommendations on where to stay in Japan, including different types of accommodations. This is the most expensive route, but you may not have any other option. The best way to narrow down where to stay (there’s a lot of hotel options and that’s an entire blog series in itself) is find hotels near train and metro stations. In Tokyo, along the Yamanote Line (the loop line) and the metro stations have plenty of hotel options. I recommend staying in areas such as Shinjuku and Shibuya, as those are excellent areas for immediate access to tons of things to do and easy access to main lines throughout Tokyo. See my recent blog post on best things to do in Tokyo. In Osaka, along the Osaka Loop Line is ideal or one of the metro stations. Universal Studios Japan is in the city, so it’s possible to stay right at the park and have easy access to the rest of Osaka. One way to save money is to look for locations of popular Japanese hotel chains and not western chains. APA, Sunroute, Chisun, Mystays, Hotel Mets and others provide clean, small but comfortable accommodations, sometimes at a fraction of the price of some of the more well-known North American and European chains. A general rule of thumb is the further a hotel is away from a major city centre such as Shinjuku or Shibuya, the more affordable it will be. Use the Booking.com search box below to find your hotel. If you use the box below, we do get a small commission, which helps us keep the website running. Read our full disclosure. Chances are if you’re in the Tokyo Disney Resort area, you’re staying at one of the hotels on property or nearby. 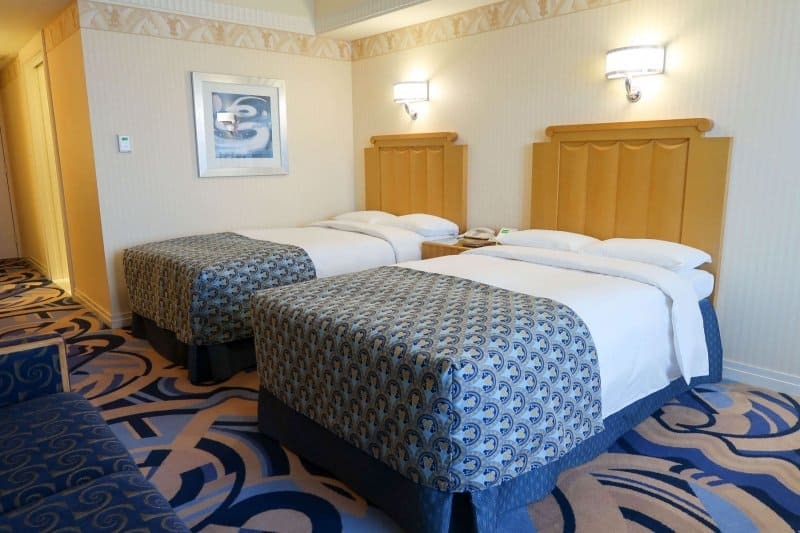 Here’s our recently updated hotel reviews and recommendations for Disney and Non-Disney Hotels in and around Tokyo Disney Resort. If you’re traveling solo or with another friend, then the famous capsule hotels throughout Japan are cheap accommodations. I recommend this for those on a tight budget and don’t have a lot of luggage. Manga cafes are internet cafes that are open 24 hours. These are popular for people who miss their last train home (trains stop between 12 AM and 1 AM depending on the line). There is an overnight option that varies in price (often around $20 USD for one person). Keep in mind these are not the most comfortable but are safe and clean. Other amenities include manga comics, free wi-fi, showers, unlimited soft drinks, video game consoles to play, etc. I’ve done these a few times and I think it’s a great way if you’re out of options and don’t want to pay for a hotel for the night. These don’t require advance reservations. Popular manga cafes include GeraGera, Media Café Popeye, and Manboo. The attractive aspect of Airbnb is the affordability (cheaper than hotels in most cases). Hostels in Japan are some of the cleanest and most maintained in the world. They are all over the country and there’s no issue finding one suiting your taste and budget. I recommending using Hostelworld to find the perfect hostel to suit your needs and budget. I’ve done this in the past in a few places in Japan and had great experiences in most cases (I didn’t get along with one host and decided it was best I left). Couchsurfing is the best place online to find hosts. Keep in mind this isn’t for everyone but is an excellent way to see how locals live by staying with one. Was your Airbnb canceled due to this weird turn of events? Let us know in the comments.